It is estimated that up to 50% of adults suffer from a snoring disorder. Add value to your practice and service by offering your patients an effective, immediate and safe treatment. 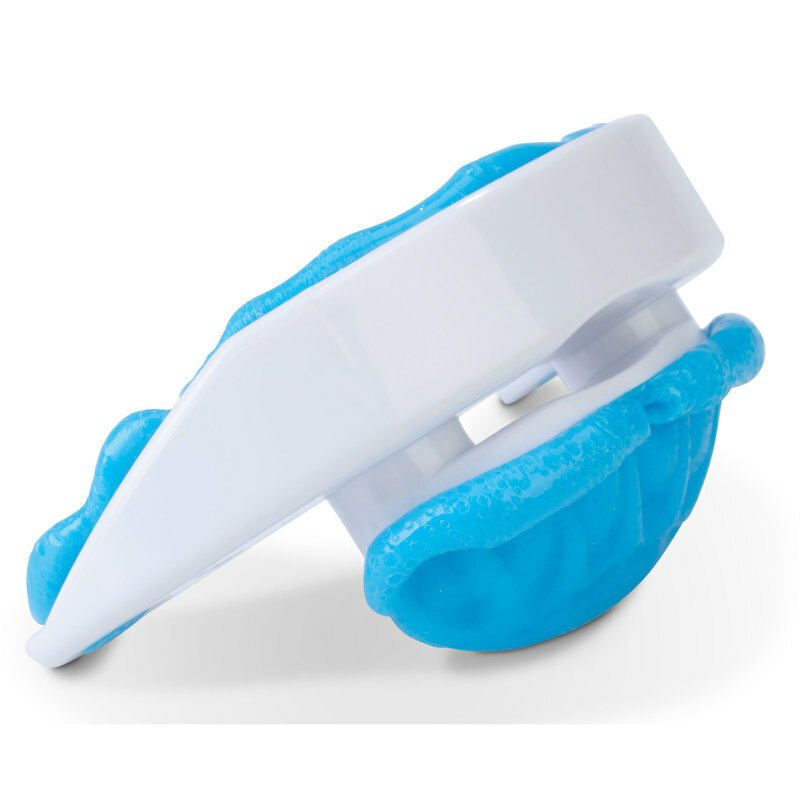 Prescribed worldwide since 1989, Snore Guard Pro is the original, patented oral appliance for chairside treatment of snoring. It is proven to fit 85% of the population with 95% showing a decrease in snoring and 50% experiencing total or significant elimination. In a 10-15 minute fitting procedure, it is softened in hot water and molded to the upper teeth. A lower bite ramp keeps the mandible forward and airway open to relieve obstruction, the primary cause of snoring. Snore Guard Pro treats patients immediately at chairside with 95% effectiveness, boosts revenue. White tray with blue upper channel and blue extender ramp helps with visualization of correct alignment. Larger breathing slot allows for even better breathing capability. Each appliance comes complete with storage case and fitting instructions. FDA registered.